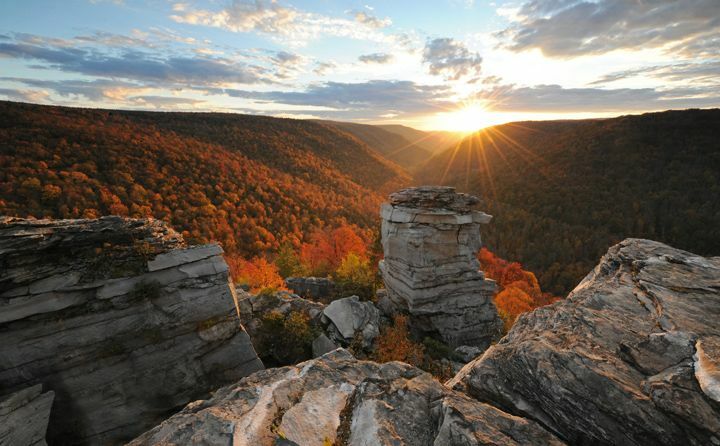 Blackwater Falls State Park is located in the Allegheny Mountains of West Virginia. 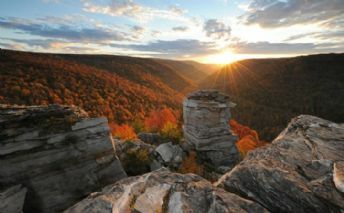 The centerpiece of the Park is Blackwater Falls along with the photogenic Lindy Point. Blackwater Falls State Park is located in the Allegheny Mountains of West Virginia. The centerpiece of the Park is Blackwater Falls along with the photogenic Lindy Point. A nature trail near the park lodge leads to the more distant Lindy Point overlook, affording an excellent view south into the Canyon. There are several other smaller falls within the park. 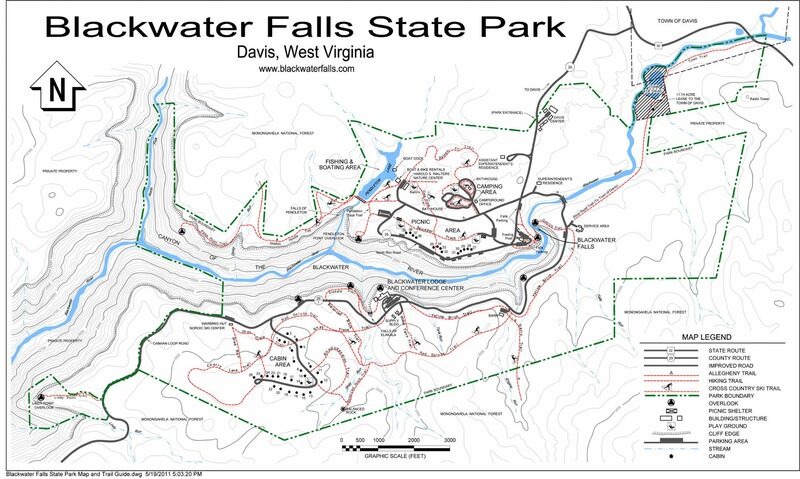 These chutes, cascades, and overhanging ledges on Falls Run, Elakala falls, and Pendleton falls; are accessible by trail and marked on the provided map. Lindy Point Overlook - this location requires minimal route exploration. Select the green “View Map” tab to view this location on Google maps. Enter your starting point for detailed driving directions. Download a free copy of the Four Factors of Filter Highlight Photography in PDF format by selecting the “ebook download” tab above. This 37 page guide covers how to take a single image and apply minor manipulations that will help you produce consistent reproducible results. You will also learn the processes of camera set-up, image editing, and advance scouting techniques used by professional photographer Christian James. Free park maps, tide reports, ebooks and additional information can be found under the Maps and Resource tab located in the black bar at the top of the screen. The best time to photograph this location is early morning. Nikon D3x 14-24mm Lens @ 14mm f11@ 1/10 second ISO 50 Exposure Value -1.0 with a 3 Stop (0.9) Soft-Step Spilt ND Filter. 1/25/14 8:30 p.m. This location requires minimal route exploration. Select the green “View Map” tab to view this location on Google maps. Enter your starting point for detailed driving directions. Download a free copy of the Four Factors of Filter Highlight Photography in PDF format by selecting the “ebook download” tab above. This 37 page guide covers how to take a single image and apply minor manipulations that will help you produce consistent reproducible results. You will also learn the processes of camera set-up, image editing, and advance scouting techniques used by professional photographer Christian James. Free park maps, tide reports, ebooks and additional information can be found under the Maps and Resource tab located in the black bar at the top of the screen. The best time to photograph this location is sunset. Nikon D3x 14-24mm Lens @ 14mm f22@ 1/13 second ISO 500 Exposure Value +1.7. 10/14/14 6:16 p.m.